Scared of your next event and feel like you’ll just stare and have nothing to say? These networking for introverts tips will get through with ease. I have a confession: I am horribly shy. Now, those who know me or have met me probably don’t realize this. Social situations make me incredibly nervous. I’m always worried that I’ll say the wrong thing, stumble over my words or appear incredibly unintelligent. My shyness used to paralyze me when I was younger. I couldn’t look people in the eye when I talked to them. I stayed in the corner during group work, barely saying a word. In college, I avoided most parties. My biggest fear was being around people and not knowing what to say. I was a theater major at first. I know, you think a theater major is not for shy people. But, there is a huge difference for me between acting on a stage and being in a social situation. On stage, you have your lines scripted. At a party, you are on your own. I left theater because so much of your success is hinged on networking. I didn’t feel comfortable selling and promoting myself. Now, as a blogger, I have to do just that: sell and promote myself. It’s not easy for me. In fact, all in-person networking events make me really nervous. My biggest fear is that people will deem me unintelligent the second I open my mouth. Luckily, I have found a system that helps me conquer my shyness. I use these tactics any time I’m in a situation where I don’t know a soul. This can be someone walking ahead of you, checking in behind you, or sitting at a table. The main thing is that they are within speaking distance and other wise unoccupied. FYI: Don’t approach people on cell phones. The phone usually keeps them too busy to notice me. Introducing yourself by name is just awkward at this point, so you need a way to start the conversation. Comment on the weather (“It’s hot today”) or the event, (“Wow, this is pretty awesome.”). Really say anything that’s positive and that you know the other person will probably agree with. As you can see, none of these suggestions need to be incredibly creative. It’s just getting people talking. Personally, I us the same exact question for every person I meet in a given situation. The point is that I am trying to find some common ground that will get the conversation going. If you’re networking, you want people to be able to find you after the event. Thankfully, since events like these are business functions, most people have business cards. Asking for someone’s card (or giving yours out) can be awkward, so I usually think of a reason to want someone else’s card and then offer mine in exchange. For blogging, its an easy scenario: “I would love to check out your blog! Do you have a card?” Business cards traded with zero awkwardness. If conversation seems forced, make an exit. This used to be the hardest part for me and the one that would cause me the most anxiety. I’m sure you must have encountered this. You are talking to a person who does not seem interested in talking with you at all. All of your questions are answered with a short answer and they don’t ask you any questions at all. Their eyes are scanning the room for the next thing that interests them. Silly me, used to think it was my responsibility for keeping said person interested in me. It’s not. Here I just smile and say, “Well, it was nice meeting you,” and I move on. Find someone else and repeat the whole process again. Pretty soon, you have a handful of business cards and a ton of cool new contacts. What networking tips do you have? Really great article! I, too fumble words all the time! Having convo planned helps me a lot! Thanks. This is great! Thanks for sharing. I can totally relate. These tips are great! I am also shy and it is SO hard to approach people! I agree!! It’s usually easier for me to approach people who are alone. Great tips, I am shy (until I get to know people) and an introvert (so I need to recover after spending a lot of time in group situations) the hardest thing for me is the initial engaging, once I start talking I am fine, but I hate walking into a room without knowing anyone. I advice is to try to know at least one person in the room (not always possible). Knowing one person in the room helps me too! I have a hard time with networking, too! I’m really wanting to go to some blog networking events, but it is scary! Thanks for the tips and ideas. I am trying SO hard to get out of my bubble while networking. I can speak in front of an audience without a single problem, but being in the audience and having to mingle… I’m so awkward I feel like apologizing for being awkward, which would make things even more awkward LOL!!! Thank you for this article!!!! Amby, I am with you! I have no problems speaking in front of a large group. But face to face interaction makes me so nervous. This is fantastic! I do the exact same things. It always helps when there is someone you have seen before or know online in some way. Definitely, that makes is easier Stefany. Then you have automatic friends! Same goes for me! I am so shy and still struggle with it, especially when I am at work. I even get anxiety when I am on the phone with someone. I am getting better now that I work at an advertising agency but it is not easy! I’m an extravert and still found these tips incredibly helpful! 🙂 I especially like that you mentioned finding a way to keep in touch– I often meet people at an event + then later wish I had a way to find them! Social media makes it easier on a whim, but often it’s no such luck! Totally! Love this! It’s not as easy as some people make it all look. I am a very shy person as well. It seems with phones it is a good way for me to hid behind them. I need to do better with speaking up to others! I am a little shy as well- especially when it comes to networking. This was a great article, and gave me some great tips. Thanks for sharing! These are great tips for extroverts as well. I’m really not shy but I find it hard to start conversation, especially in situations where it’s the expectation. I love how you make it about learning the other person and not just talking about yourself. Great tips! Thank you! the best advice I ever heard was to always ask about the other person. People like to talk about themselves so when in doubt ask a question that gets them sharing their story. Such a good tip Ashley! This is some awesome advice! Thanks for sharing! I read a really interesting book on holding conversations once and it said that you should never have a conversation for longer than 5 minutes (I think it was a dating book, but you could apply it to other situations) these five minutes would be enough to engage in good conversation before you may be left with an awkward situation. They said that you should always also be the one to step away from a conversation. I wish I could remember what book because it was really interesting! 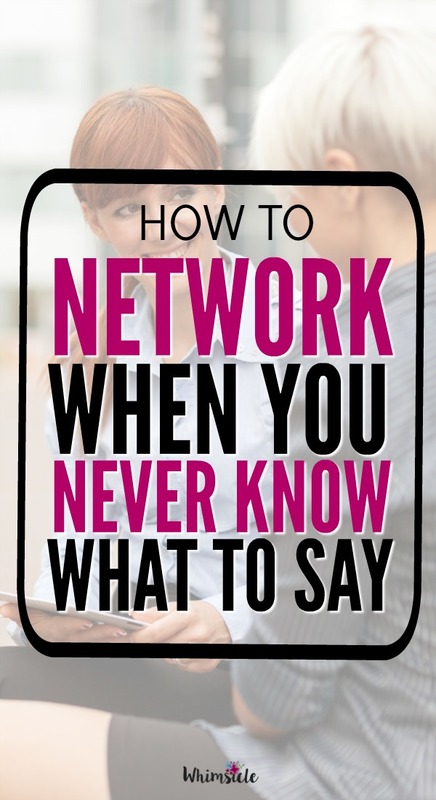 Great tips, networking is something I really struggle with because I am insanely shy. This is so hard for me too. It’s always easier when I’m in a room full of bloggers because I know I can bring up blogs, but I’ve been at other parties/conferences that are not all bloggers and it’s a lot harder. I just have to remind myself that people like CEO’s / founders/etc are all just regular people too. Networking can be so hard. Thanks for the tips. Love this! Networking is so important – but as someone with social anxiety, I can tell you it is definitely hard! Love these tips! This is totally my M.O. for networking. It’s not my favorite thing to do and doing it this way makes it easy on me. I’m the shy one too! You’ll find me sitting in a big group of people listening and watching before you’ll find me talking and speaking up. (: Great tips!!! I tend to stick to a food table or bar if I am alone at a party or networking event. It’s where most people congregate! That is a really good idea Lauren! Kudos to you for reaching out of your comfort zone to talk to people! I’m fairly extroverted, so I usually have the reverse problem of just starting to babble to someone/anyone that’s around me about whatever’s at hand, and see if they engage. The best tip I have about meeting new people is to try to make eye contact first and smile a warm, genuine, open smile… if they return in some capacity, then go for the opening line! Great tips! I am so not shy so I can’t say I struggled with this but I do have a tip that’s helped me! When you’re networking, really focus on listening to people when they tell you their name. So many times you don’t actually hear their name because “meeting” or shaking hands can be nerve racking. If you focus on listening and remembering people’s names your body language and authentic demeanor will come across totally naturally and no one will have the slightest idea you might be nervous or uncomfortable. 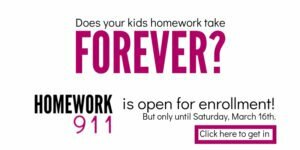 You might even forget too! These are great tips! I am terrible at networking. And in fact have avoided going to any blog networking events because of my shyness. Maybe these tips will help me get over that. Thank you! P.S. I found you via SITS sharefest. I too grew up really shy but yet I did my masters in theatre, so I guess we are similar in that respect 🙂 i find with networking practice really helps with building the confidence and remembering that everyone is there to connect in some way! I agree Alice. The practice is really what makes it easier in the long term. Me too Megan!! And I also find it is much easier to interact with bloggers 🙂 Will you be at SoFabU OTR this weekend? Yep, I will be there!